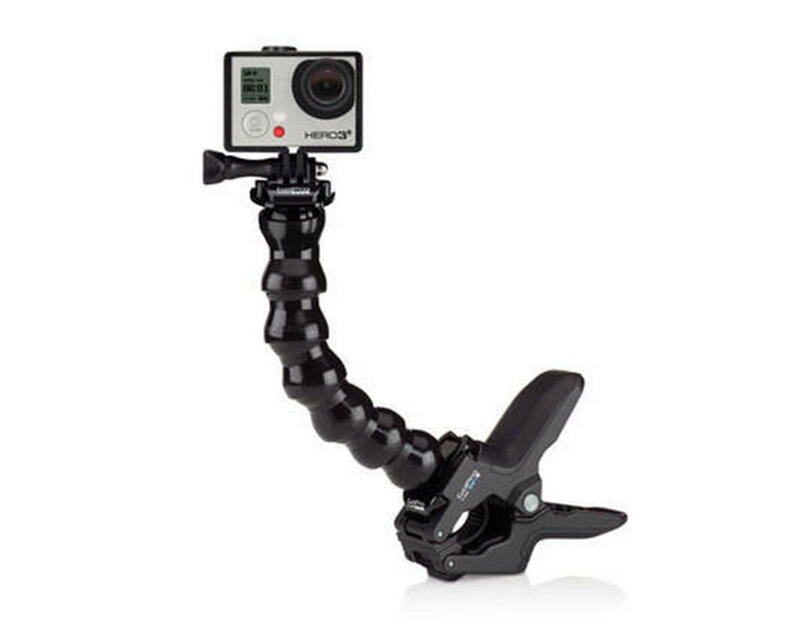 This is the GoPro "Jaws" Flex Clamp Mount. 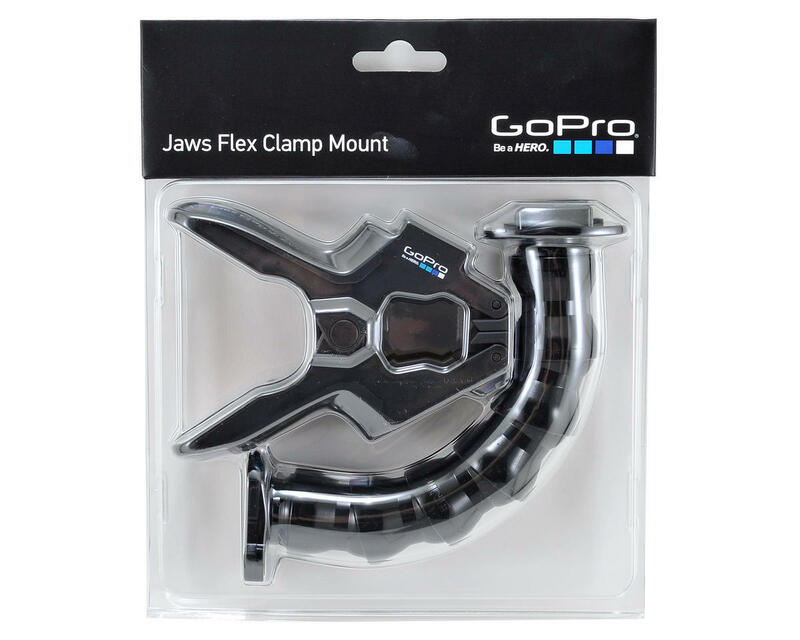 The Jaws Flex Clamp mount allows you to clamp your GoPro to objects ranging in size from .25" to 2" (.6cm to 5cm) in diameter. Attach your camera directly to the clamp for low-profile mounting, or use the optional neck to achieve a wider range of camera-angle adjustability. Jaws securely grips irregular shapes and super slim objects thanks to its innovative design.